Todd’s Seeds specializes in good, old-fashioned, Heirloom, non-gmo, open pollinated vegetable, flower and sprouting seeds. All of our seeds are inspected and packaged the old-fashioned way, by hand. We are based in Michigan and have relationships all over the country with farmers and coops to bring you nothing but the best for your personal garden, seed or microgreen business. 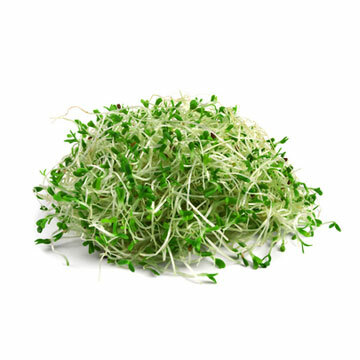 We are pleased to provide seed to some of the finest microgreen growers in the country, provided fresh vegetables, sprouts and microgreens to the best restaurants out there. Todd’s Seeds – Wholesale Pricing! Yes, yes, we know – we are not charging enough for the Todd’s Seeds brand. We hear it all the time. However, seeds do not have to be expensive. The largest factor in the pricing of seeds, believe it or not, has to do with business overhead. We’ve done everything we can to make sure that we don’t have any bloated expenses driving up the prices of your seeds. You can rest assured that the employees in the Todd’s Seeds warehouse are cold in the Winter and hot in the Summer. It’s what we’re willing to do to keep prices low for you. You will also see that we haven’t gone too overboard on the Todd’s Seeds packaging. We use simple materials with home grown manufacturing to make sure that the price of Todd’s Seeds stays the lowest in the known universe. It is our hope that down the road we will be able to add more physical products to help you with your gardening and sprouting endeavors, but for now, in addition to the seeds, we have some growing trays and the famous Easy Sprout sprouter, the easiest sprouter in the world to use. That’s a fair question. The lowest price is not always the best reason to buy something, especially something as important as seeds. While there are a lot of reasons to buy Todd’s Seeds, the main reason is the quality of the seed, and our willingness to stand behind our product. We only purchase seed that we’d feel comfortable growing ourselves. If our trusted sources run out, we DO NOT go looking to fill our stock from an untrusted, untested source. We simply wait for our trusted farmer to overcome whatever difficulty caused the shortage in the first place. It’s not our goal to sell the greatest number of seeds on the internet, it’s our goal to sell the finest seeds on the internet, and to do so with good, old-fashioned values. With very few exceptions, Todd’s Seeds are grown in the USA by USA farmers and packaged here in the USA. If you ever do need to call us, your call is answered by someone in the USA. Todd’s Seeds are Tested for Quality! won’t germinate. Our guarantee to you is that if you are not thrilled silly with your experience, we are not thrilled silly either! Todd’s Seeds will do whatever is in our power to make sure that your experience, from start to finish, is the best is can be, and if something does go wrong, there’s not a finer company around to fix the issue and get you back on the right track. The benefit to you in buying Todd’s Seeds is that every packet and pound of seed has the germination results right on the label. We have Seed Planting Instructions right on our website. The companies that try to put planting instructions right on the seed packets are not doing you a favor. Look at our detailed instructions on our website versus the minimal, tiny instructions on the average packet of seeds our competitor sells and you tell us, who is giving you more information to be successful with your seeds, them or Todd’s Seeds? If you are really into seeds, make sure to check out the Seed Wiki. You’ll learn more about seed structure, development and germination than other sites. Todd’s Seeds come in all kinds of shapes, sizes and colors – I am constantly fascinated when I go back into the warehouse to see all the different kind of seeds we have, and how different they look in comparison to each other. How these seeds grow is fascinating also. Some seeds will germinate very, very easily, like wheatgrass or even broccoli seeds. Other seeds need a little extra help, and you can find these tips in the Todd’s Seeds Planting instructions. Todd’s Seeds will always strive to provide you with the finest seed, the finest service and you’ll be proud to recommend us to your friends. We all look forward to adding content to this website, providing the quality seed you deserve, and at a price we can all afford. Please let us know how we are doing.